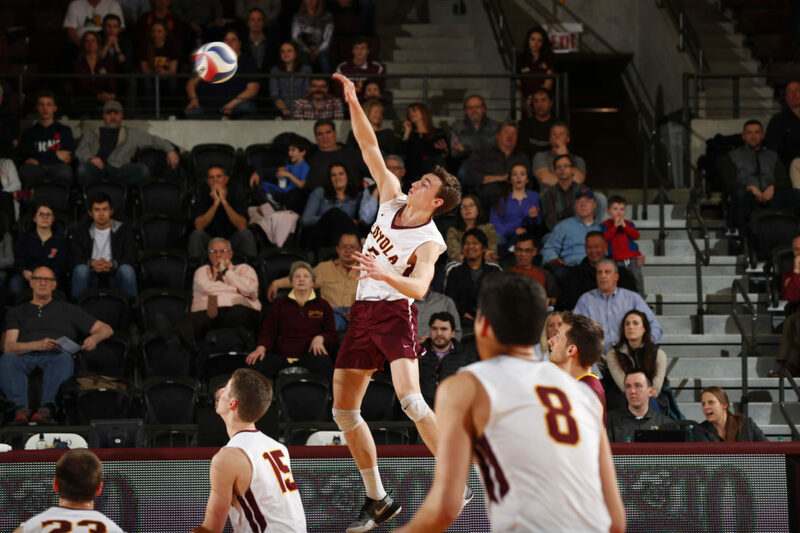 On April 14, the Loyola men’s volleyball team (22-6, 11-3) defeated No. 7 seed Lindenwood University 3-0 in the first round of the Midwestern Intercollegiate Volleyball Association (MIVA) Tournament. Tonight, the Ramblers are set to face No. 3 seed Ball State University in the semifinals. Loyola finished the regular season as co-MIVA champions, sharing the title with The Ohio State University. This is the Ramblers’ first regular-season title since 2014, when they won the national championship. 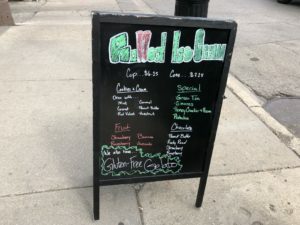 As a higher seed, Loyola hosted the quarterfinal game, so the team didn’t have to make the five-hour trek to St. Charles, Missouri for the second time in less than two weeks. Sophomore libero Jake Freeman said its April 5 loss to the Lions was a wake-up call for the team. Having home-court advantage for the first and second round gives the Ramblers an edge on several levels, according to junior setter Dane Leclair. The Ramblers have gone 16-1 in Gentile Arena and could potentially play one more game there this season after the semifinal game. After the end of the regular season, the Ramblers had a full five days to practice before having to face Lindenwood in the first game of playoffs. Head coach and MIVA Coach of the Year Mark Hulse said during practice this week, they worked on fine-tuning their skills to get back to where they were earlier in the season. The Ramblers had a three-day break before taking on Ball State. Loyola went 1-1 against Ball State during the regular season, winning at Gentile Arena and losing in Muncie, Indiana. Since the Ramblers are the higher seed again, they will have home-court advantage. Unlike preparing for Lindenwood, Hulse said they’re going to have to adjust their playing style before they face Ball State Wednesday night. All eight MIVA teams have played each other twice already — once at home and once away. Playing teams for a third time can be more difficult than one would think, according to Hulse. With both teams putting everything on the court the last two games, he said it could be harder to catch the other off guard. The Ramblers are scheduled to play Ball State April 18 in the semifinal round of the MIVA tournament at Gentile Arena. First serve is set for 7 p.m.